OMNET++ is a discrete event based Network simulator. We ensure Omnet++ environment to write various simulations. We offer Omnet++ Projects for students those who are interested to do final year projects in network under simulation. We implement network such as wired and wireless Network by Omnet++ simulation. We ensure various frameworks for different network with Omnet++ simulation. We introduced SUMO, in more than 75+ projects an OMNET++ simulation framework to resolve Network traffic Pattern in vehicular network communications. By INET Framework we can evaluate wire and wireless Network performance. INET framework for wireless Network simulation and mobility framework for mobile Ad hoc network simulation. Rich and powerful simulation tool. Enable external interface to support wireless network simulation. Passive Attack: We handle this attack which performs only network sharing, passive attacks are carried in network by snooping over traffic. Active Attack: We handle this attack which entered as data modification. Data modification performed by malicious node (or) attacker. 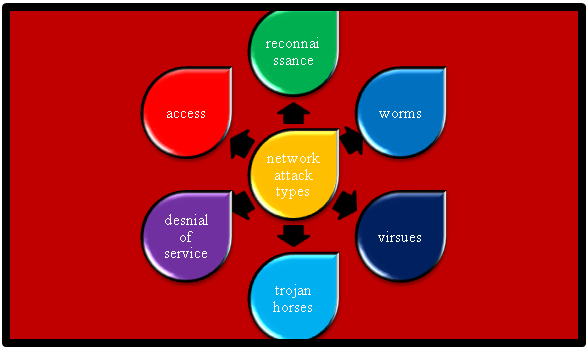 By attacker activity, it disturbs the network. We built INET Framework on Omnet++ and ensure communication by message passing. By Omnet++ compound module we denote host, switches, routers and other network devices. We assemble compound module from simple module that denote application, protocol and function units. By NED files we describe network with host, router and external module interfaces. We use wireless Multimedia sensor network to connect wireless camera sensor node with multimedia devices. Every camera has scope to retrieve video and audio streams. We provide WMN with Internet of Things (IOT) that require video and audio information. Information contains traffic monitoring, multimedia surveillances, environmental monitoring and personal health care is determined. To visual real event impact we use multimedia data with internet of Things. We propose mobile multimedia wireless sensor network Omnet++ framework. We use this framework to integrate function of MNet and WSN model which derived from Springer papers. By this framework we can develop new function called mobile multimedia aware management system. To investigate the impact and benefit of optimized video aware algorithm and protocol we use M3WSN. M3WSN permit framework simulation for fixed and mobile multimedia sensor network. For scalar sensor node, we enable each node to detect intruder in Omni direction way. For video transmission, we ensure destination node to make file for every received video.